With Project Reveal now being one year old, we are going to look at the progress they have made by looking at few of the wonderful, intricate and bizzare items they have found and documented. 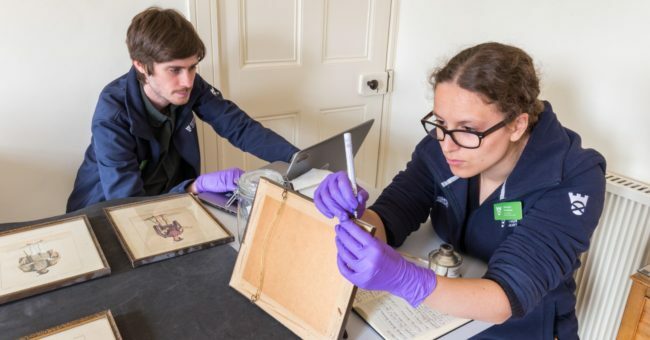 Read all about the progress of the Project Reveal teams, who have been busy cataloguing and photographing Trust collections for the past six months. 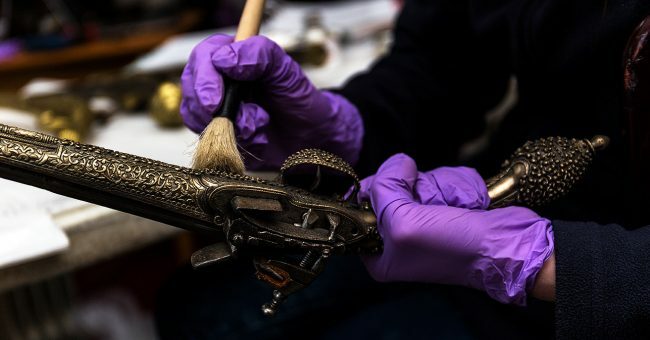 Six curatorial inventory teams will catalog and photograph all of the collections displayed and stored in 47 of the National Trust for Scotland’s properties – over 100,000 individual objects. 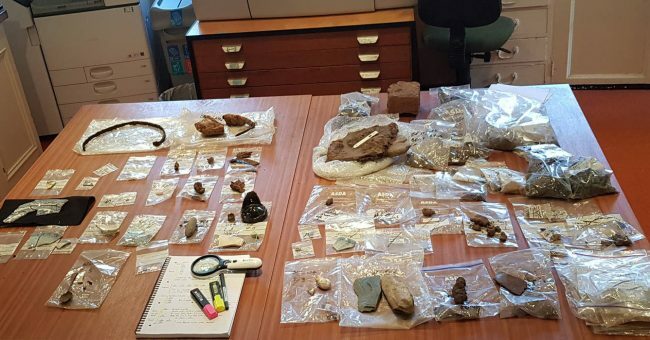 As part of Project Reveal, the lead inventory officer of the Trust’s archaeology collections is researching, sorting, and archiving the artifacts excavated or found at NTS sites to prepare them for future research and potential public display. 25 team members, 25 favourite objects from the project: this is the Project Reveal Advent, Part 2. 25 team members, 25 favorite objects from the project: this is the Project Reveal Advent, Part 1. 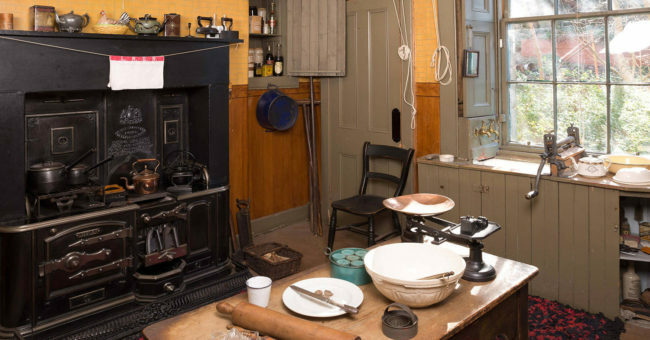 An authentic window into life in 20th-century Glasgow, Project Reveal catalogs the remarkably intact Tenement House, lived in by Miss Agnes Toward from 1911 until 1965. 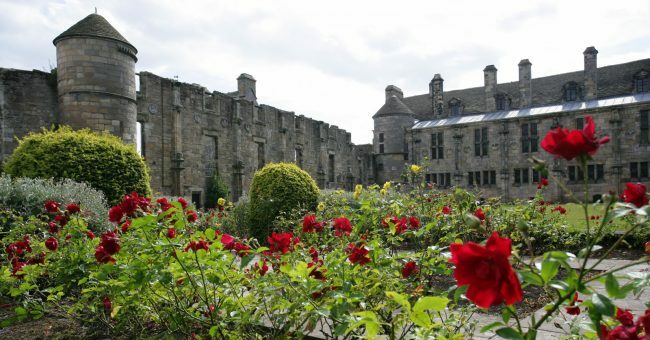 Project Reveal investigates the Falkland Bed, the central piece of the Keeper’s Bedroom and one of the first things visitors get to see when visiting the palace. 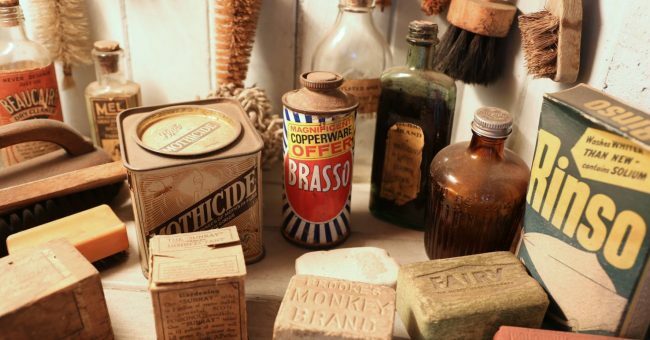 The North West Project Reveal Team venture out to Cromarty, to investigate the Birthplace Cottage and Museum of Hugh Miller – a geologist, writer, and an avid fossil collector. Project Reveal Team West has recently started the inventory of the Tenement House, the former home of Miss Agnes Toward. Here, we are able to see a life of an independent Glaswegian working woman in the first half of the 20th century. 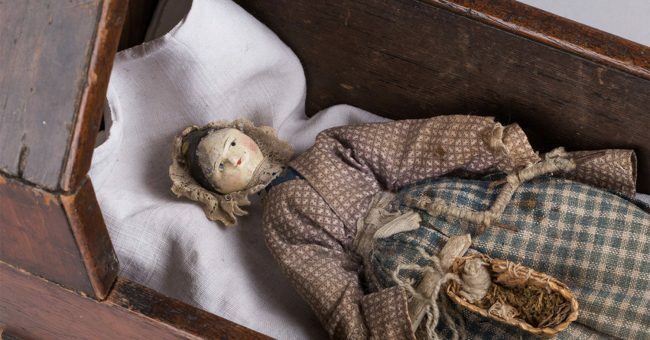 Project Reveal goes to the Weaver’s Cottage in Kilbarchan, investigating more than 1,000 tartan samples and an intruiging 19th century papier-mâché and wooden doll. 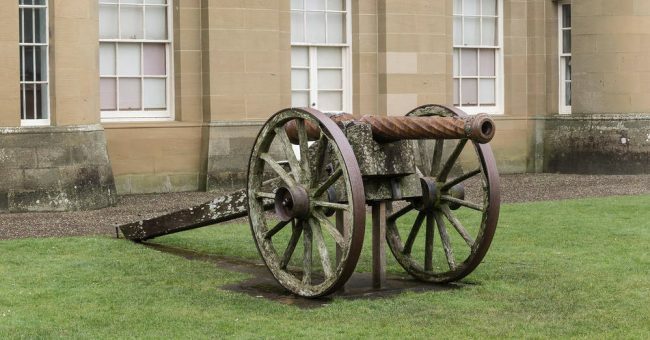 Project Reveal delve into the history of the two infamous cannons at Culzean Castle, as we explore their origins, the narrative around the cannons, and usage during the 20th century. Project Reveal North East explore the history of illicit distilling in the Angus glens. The whisky stills of the Angus Folk Museum collection tell us much about the history of Scotland’s most famous export. Project Reveal head to the House of the Binns to catalog the table where ‘Bluidy Tam’ is said to have played the devil at cards. Inside a box, inside a cupboard, inside the Georgian House, Project Reveal uncovers a rare musical treasure. 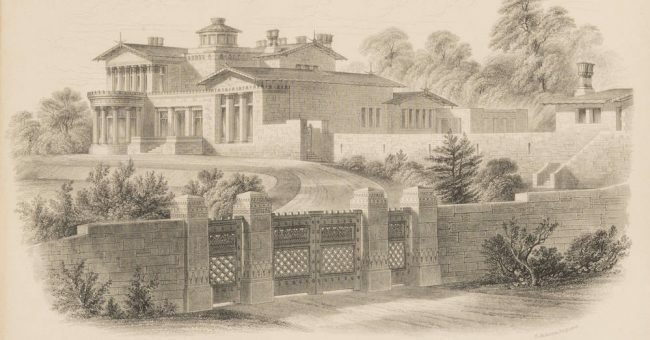 Learn how woman found ways to discreetly communicate in the Victorian era in this Project Reveal blog post from the South West team during their work at Culzean Castle. The photographer for the Project Reveal South West team introduces us to some of the more well known spirits who are said to inhabit Culzean Castle. Project Reveal Team East uncovers the work that goes into creating a splash of color in Culross Palace. Project Reveal Team North East find a set of chairs at Mar Lodge with a royal connection and a divided history. A Father Christmas army and fancy dress crackers – Project Reveal Team East reveals the spirit of Christmas at Newhailes. The Project Reveal West Team are intrigued by a rare hanging lum in the kitchen of Moirlanich Longhouse. The Project Reveal West Team discovers the beauty of cleaning 1930s style, with an Art Deco style Hoover vacuum at The Hill House. Project Reveal Team East explore the work of well-respected Scottish ornithologist, author and artist Donald Watson and find clues of a missing artwork. 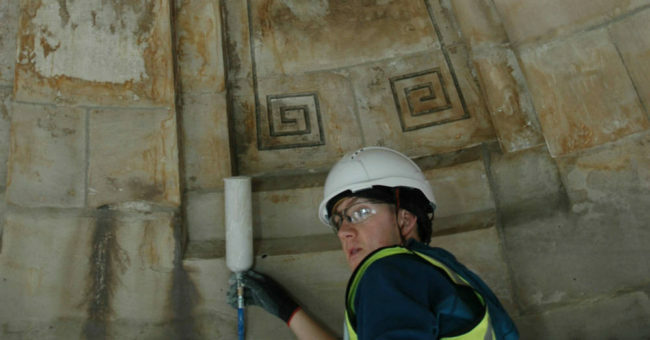 Project Reveal Team East discover the beautiful painted ceilings of Culross Palace, and wonder what lies beneath them. Down in the depths of Newhailes, Project Reveal Team East unearthed a treasure trove of prints in an unassuming plastic box. The Project Reveal South West Team get a closer look at an aircraft propeller that left a mark on modern history. Hidden away in a cupboard at The Hill House, the Project Reveal team discovered beautiful finger bowl mats created by Walter Blackie’s daughter, Alison. 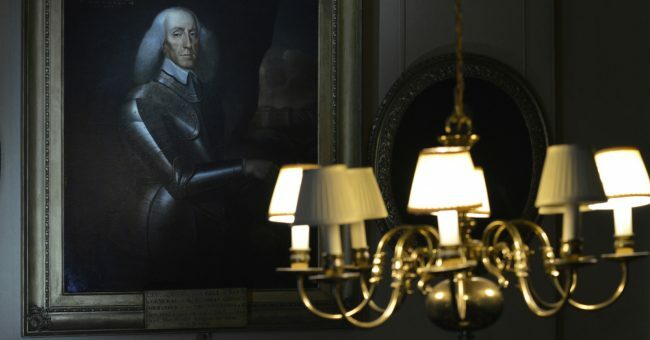 Hanging on the wall of the Red Drawing Room at Brodie Castle, just beside the spiral staircase, is a spectacular example of a Louis XV wall-mounted cartel clock. 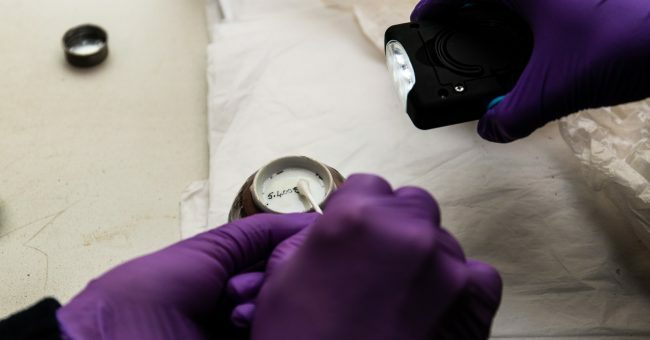 The Trust’s collections are very diverse, so we need to use various marking and labeling techniques for identifying collection items. 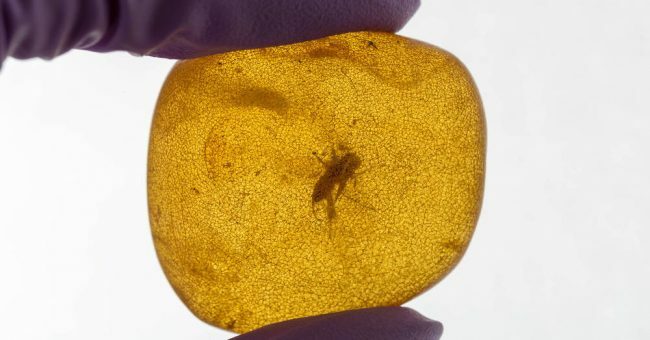 An intriguing key with a fairy tale-like inscription – ‘mahogany box, golden telescope’ – was recently discovered at Brodie Castle. What will it open? What’s the time, Major Keith? The North East team have been busy inventorying the North Wing of Pitmedden House, and have come across a longcase clock with strong links to the region. 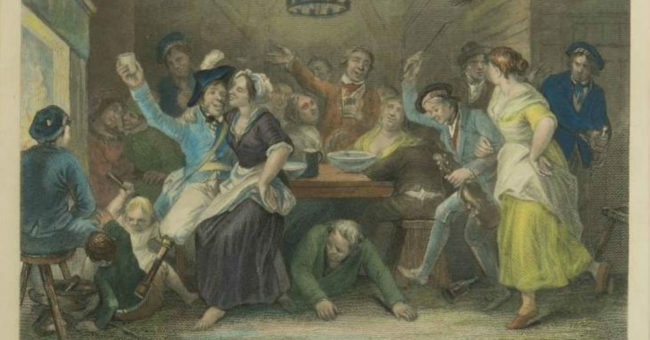 From the nickname ‘mother’s ruin’ to William Hogarth’s famous 18th-century print Gin Lane, the classic British tipple of gin hasn’t always enjoyed the reputation that it has today. A set of small glass bowls have long been on display in the State Dining Room at Culzean Castle, but most visitors probably don’t know what they were used for. Secrets of a Shrine is uncovering the mysteries of a 200-year-old monument to Robert Burns. Part 3 will look at modern-day conservation in action. 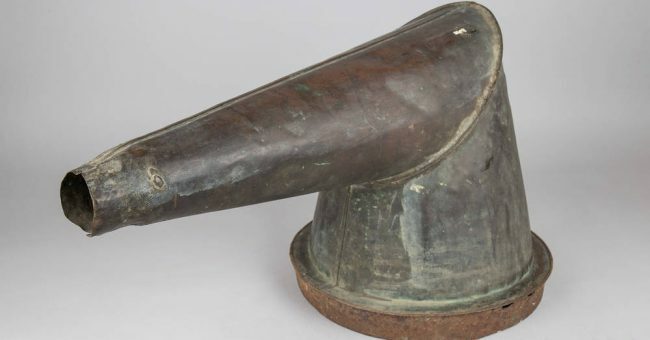 To pay tribute to the 175th anniversary of Charles Dickens’ ‘A Christmas Carol’, we’ve selected 10 objects from the Trust’s collections which, with a little imagination, can be related to the story. In fair Craigievar where we lay our scene…Montagues and Capulets are replaced by rival Clans of Forbes and Gordon with star crossed lovers caught between.